Welcome to the Brisbane Domain of Beyond the Sunset. On this page you can find information about the games we run. If you are new please check out the info for new players down below about out regular games, visit us on the | Twilight Alliance Facebook Page or email our Domain Coordinator or Domain Story Teller for more info. Domain Coordinator (DC): Hayden B.
Domain Storyteller (DST): Bec P.
The court and domain of Brisbane grew. and as they grew in numbers and political power they waned in what made them vampires. they lost the instinct of knowing when they were the hunted, and they lost the edge of a true predator. They grew indulgent, over feeding and breaking the masquerade when is suited them. bringing unwanted attention without even knowing it. So when the Iscariot came with "cleansing flame and blade!." they didn't stand a chance. Hunters arrived and tracked them in secret locating Elysium and havens across the city over several months The kindred did not see those who tracked them, and then in a single day over 90% kindred of Brisbane met their final death. They came fast swift and strong against all the supernaturals in Brisbane. Those they did not kill were the lowest of the low, who ran off and didn't come back for fear of the true death. Even the necropolis was no protection. Present Day: Brisbane is quiet, as quiet as a capital city can be. There are no more supernaturals that people are aware of left in the city, or those that are there have hidden themselves as to not draw the attention of watchful eyes left in the city. As kindred return to the city, they know not what hunters remain. 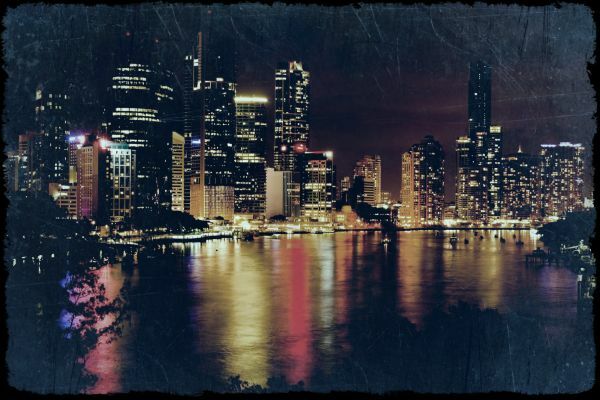 For more details see the Brisbane's Historical Timeline and Key Locations for the Chronicles of Darkness. Vampire the Masquerade: Camarilla: 6:00pm, 2nd Saturday of the month. Cross Genre Chronicles of Darkness: 6:00pm, First Saturday of the month. Changeling: The Lost: 1:00pm, Last Saturday of the month. Werewolf: The Forsaken: 6:00pm, Last Saturday of the month. At this current time our Cross Genre games are Hosted at the The Junction at Annerley , Ipswich road cnr annerley rd, Annerley, QLD 4103. Game attendance is a requested $2 donation for Nwod games, but new player should be registered on the Camarilla Website . Even if the player is simply going to watch as a visitor, they must be registered before they can do so as per club policy. Also see the New Member Guide for answers to some of the questions you may have. MET Minds Eye Theatre. LARP rules for World of Darkness published by By Night Studios, used for our Vampire the Masquerade game. DST Domain Storyteller. The person that brings all the VSTs of all the genres run in Brisbane to ensure that there is continuity between each of the games. Concepts which are disruptive are not necesarily discouraged, although please DON'T write in your background that you are a Diablerist/Pure Spy/Servant of the Abyss unless you don't mind getting caught and whacked by PC's. If you would like your character to have visited Brisbane or be a part of its history this is welcomed and even encouraged. Please contact the VST with your ideas and suggestions and we'll work to make your character part of our history. There are many roles and "events" which would be far more entertaining if they were populated by player characters. If you wish to have a background link with one of the characters listed here, don't hesitate to contact the player and/or the VST. The aim here is to bring the city to life and create fun inter-character links world wide. There are a couple of caveats.